Hotel Royal Courts is a 3.5* hotel located in Monterrey-North, Mexico. It features 82 rooms and swimming pools. Hotel Royal Courts is a small and charming hotel with friendly service and warm hospitality. This hotel has charming colonial-style architecture and a splendid pool, surrounded by beautiful gardens. Business travelers can take advantage of a well-equipped business center and meeting rooms. 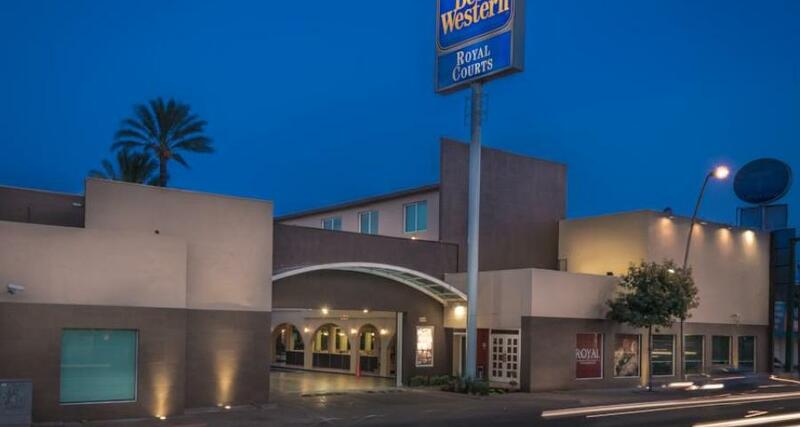 Travelers from around the world arriving in Monterrey on business can enjoy a satisfactory stay at Best Western Plus Royal Courts, and take advantage of convenient amenities, including meeting rooms, restaurants and a range of business services.